One of Australia’s leading craft brewers, Little Creatures Brewing, today opened a major new brewery and hospitality venue in Geelong. 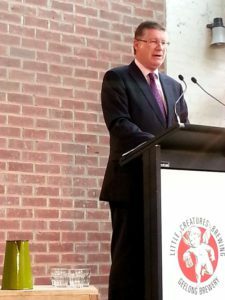 The site, which was officially opened by the Premier of Victoria Dr Dennis Napthine, will brew and distribute the Little Creatures range of beers for the growing East Coast market. 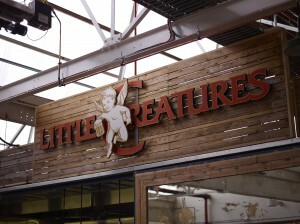 The brewery represents the next stage in Little Creatures brewing’s operations in Australia, which currently consist of the original Little Creatures site in Fremantle, Western Australia, and the White Rabbit Brewery at Healesville. 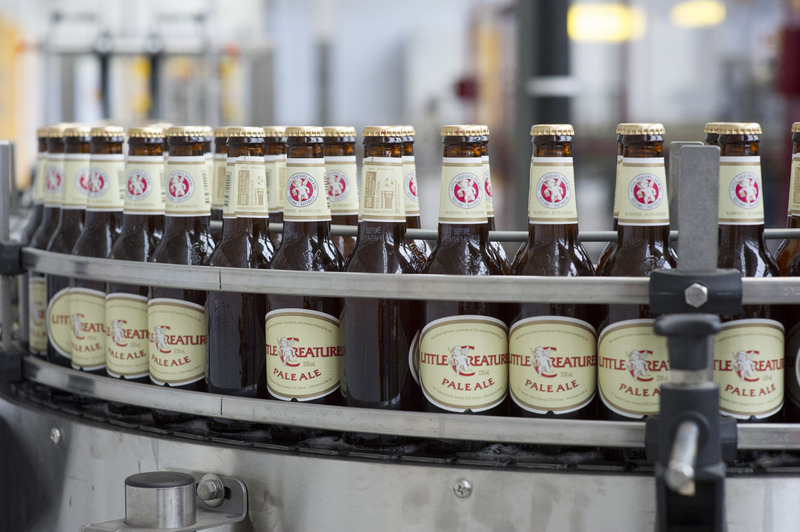 Lion, owner of Little Creatures, has invested $60million into the Geelong site which will more than double Little Creatures’ brewing capacity in Australia. CEO of Lion, Stuart Irvine said, “Little Creatures is one of Australia’s most popular craft beers, and our investment in this major new brewery at Geelong will allow us to meet the growing demand for the Little Creatures portfolio of beers now, and into the future. “Importantly, we’ll be able to produce beer closest to where our future growth will come from – the eastern states. 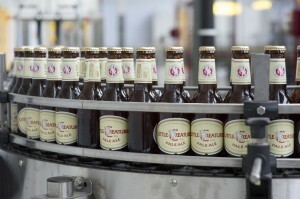 Beer is always best consumed fresh, and this allows us to provide fresher product to the eastern market,” said Mr Irvine. Dr Napthine said, “The development of the new brewery was a further boon to Victoria’s biggest regional city and a great example of innovation. The brewery has been built using state-of-the-art German technology and features a number of environmental initiatives such as waste heat collection and a carbon dioxide recycling system. It also has a combined heat and power plant installed on site, which will eventually be used to create electricity on site, using the excess energy as a heat source in the brewing process. The brewery is built on the site of Geelong’s former Valley Worsted Mill – a 1920’s textile mill with saw tooth red brick industrial styled buildings and a great sense of history. The historic art deco mill buildings have remained, with the brewery working around them. Little Creatures has worked to preserve the nature of the buildings and, where possible, maintain the integrity of their original look and feel. The first brew to be produced in the new facility was Little Creatures Bright Ale, following the brewery’s official commissioning in July this year. The brewery is expected to produce around 1.25 million cartons of beer in its first year, with its first brews already transported to the East Coast market. The brewery’s main indoor hospitality area is housed in the Mill’s former Cloth Finishing Room, and styled with a mix of exposed brick and raw materials, with festive brightly coloured details. As well as being a hospitality space, it houses an art gallery for local artworks, and will offer space for a local artisan market from February 2014. Using recycled elements wherever possible, the hospitality area’s bar is built inside the containers that were used to transport items for the brewery to Geelong, and the timber furniture is crafted from the pallets and skids also used during transport. The features of the 400-capacity indoor hospitality space flow into the outside laneways, where there is capacity for a further 100 guests amongst the red-brick laneways. 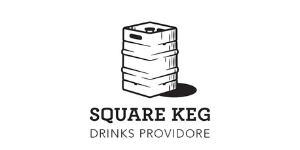 The venue will serve the full-range of Little Creatures craft beers including Little Creatures, White Rabbit, and Rogers beers. In Little Creatures’ style, the beers are complemented by a menu focusing on shareable fare that incorporates fresh, simple, and flavoursome foods. 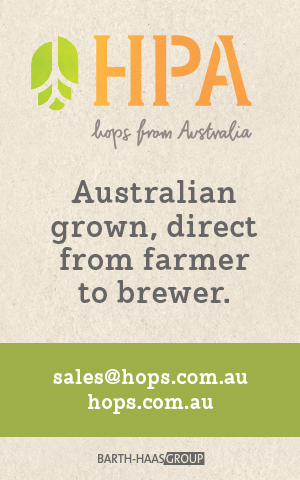 For more information, visit the Geelong brewery website.